I am a Learning Technology Support Officer. This means I investigate the use of new educational technologies, and teach lecturers in the use of these technologies. 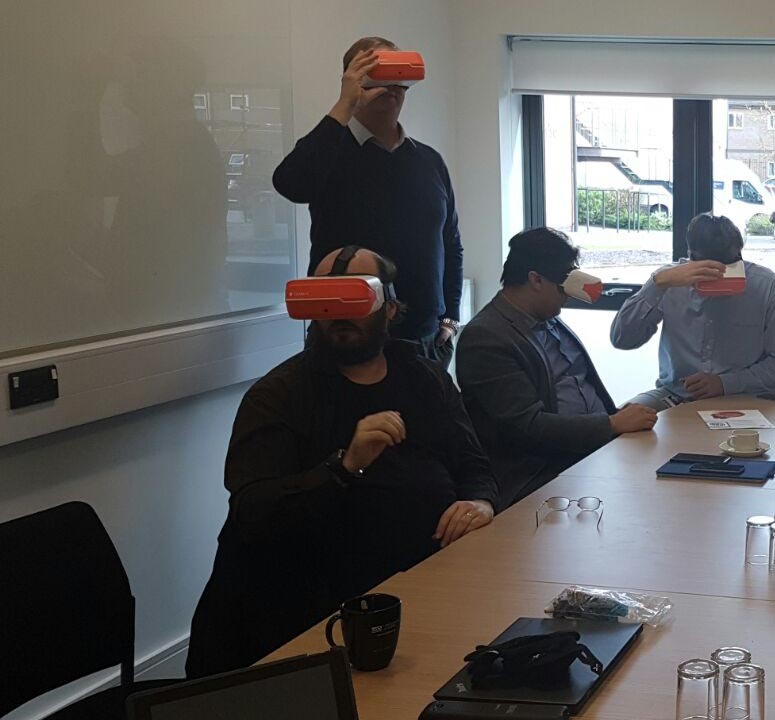 I also develop VR interactions for students to use and research the development and educational use of this technology. I am a regular attendee at the East Midlands Learning Tech conferences and have delivered my research findings to the group. As a result of this, I have been invited to speak at external events. I have also delivered my research to the ReLive and iTag international conferences as well as contributed to publication in The Journal of Assistive Technology, British Journal of Occupational Therapy, Response and other Journals. Threapleton, K., Newberry, K., Sutton, G. (2017) Virtually home: Feasibility study and pilot randomised controlled trial of a virtual reality intervention to support patient discharge after stroke, British Journal of Occupational Therapy. [Online] Available at: http://journals.sagepub.com/eprint/a62gVYzWg5KPfSfrHGug/full (Accessed: 19 February 2018). Greg Sutton, Karen Newberry, Kate Threapleton, (2016) "Evaluating Unity created teaching simulations within occupational therapy", Journal of Assistive Technologies, Vol. 10 Issue: 3, pp.162-170, [Online] Available at: https://doi.org/10.1108/JAT-11-2015-0030 (Accessed: 19 February 2018). Sutton, G. P. (2011) Second Life Virtual Hazard Detection, Anna Peachey chair, Conference Proceedings: Researching Learning in Immersive Virtual Environments, Milton Keynes, 21-22 Sept, Milton Keynes: Open University, 164-174. Sutton, G. P., (2009) Do Learning Simulations in Second Life Improve Students Information Retention over Traditional Learning Simulations? Response, 8 [Online] Available at: http://www2.derby.ac.uk/response/issue-eight-the-cedm-issue/76-wip/167-do (Accessed: 7 April 2014).